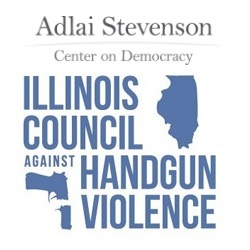 Colleen Daley, Executive Director of the Illinois Council against Handgun Violence, will discuss current Illinois gun laws and citizen actions to decrease gun violence. ICHV is the oldest and largest statewide organization in the United States working to keep communities safe from deadly gun violence. Colleen Daley has 20 years of experience in political strategy, public policy, legislative affairs, media relations and resource management.